Palo Alto, Calif.-based Point, a shared equity reverse mortgage alternative that gives homeowners the ability to sell a small fraction of their equity, has raised $22 million in series B investment funding, and an additional $100 million in platform capital. This brings total equity investment in the product to $33 million, and total platform capital investments to $265 million. Major new investors in Point include Prudential Finance, DAG, Kingsbridge, Finventure Studios, and non-profit affordable housing group Enterprise Community Partners, making its first venture investment. Point could be perceived as a competing product with reverse mortgage offerings, but while the company sees similarity in the client profile of typical reverse borrowers, it doesn’t see many other similarities. 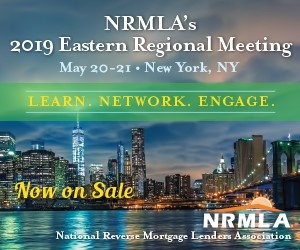 While reverse mortgage products and Point both provide the ability to tap into home equity, the “unparalleled flexibility” of home equity investment makes an offering like Point attractive to homeowners, Lim said. Another difference between Point and more traditional reverse mortgage offerings is that customers well under the age of 62 can partake in it, and the company has observed a number of different kinds of people buying into the product. The high level of investment activity from its partners demonstrates to Point that there is a wide-ranging appetite for the kind of service it can provide. “Point is seeing significant demand for its home equity investment solution. We are witnessing the emergence of a whole new class of financial solution that is aligned with homeowners, and investors are taking notice,” said Lim in a press release announcing the new investments. The demonstrated track record of its business thus far is also a factor that contributes to investor confidence in the business model, Lim said. Point’s approach to business centers on the sale of a small fraction of a customer’s home equity, typically in the range between 5 and 10 percent of the home’s current value. Within 10 years, the homeowner can then sell the home and pay Point through escrow, or buy back the company’s investment to remain in the home. A potential customer must retain at least 20 percent of their home’s equity after Point makes its investment. Since a $150 million platform capital investment from Atalaya Capital Management announced in April 2018, the company has expanded its business footprint and now operates in 13 states and the District of Columbia. The company says its origination volume has grown more than 10 times when compared with the same period the prior year. Homeowners are looking, “for alternatives to traditional home equity loans, HELOCs, and cash-out refinances,” Point says in its press release. The new round of investment is expected to support a business expansion for Point, which aims to make its products available in more than 30 states by the end of 2020, reaching over 70 percent of U.S. homeowners. The company also expects to fund “in excess of 1,000 homeowners” over the course of 2019, according to its press release.